BC Highway 5 from Hope to Merritt (also known as the Coquihalla or “the Coq”) is a busy transportation corridor through a high mountain pass, and because of this high elevation, the Coquihalla can experience periods of heavy snowfall. Don’t let that worry you though – VSA Highway Maintenance, our maintenance contractor for the route, has a plan. It’s called “the Coquihalla Snowshed Protocol” and it’s every bit as important as it sounds. What exactly is the protocol and what does it mean to you? Read on friends. The Coquihalla Snowshed Protocol is the go to plan when the snow hits the fan. It comes into effect when more than 15-20 cm of snowfall over a 12 hour period (or freezing rain conditions) are predicted for the Snowshed corridor and its sole purpose is to make sure we can maintain safe and uninterrupted travel through the corridor during heavy snowfall or other challenging weather event. Many, many people play a part in the protocol both on and off the road. Here’s how the protocol unfolds in ten steps to help you understand how we are working hard to help you travel the Coq safely in snow events. The call. 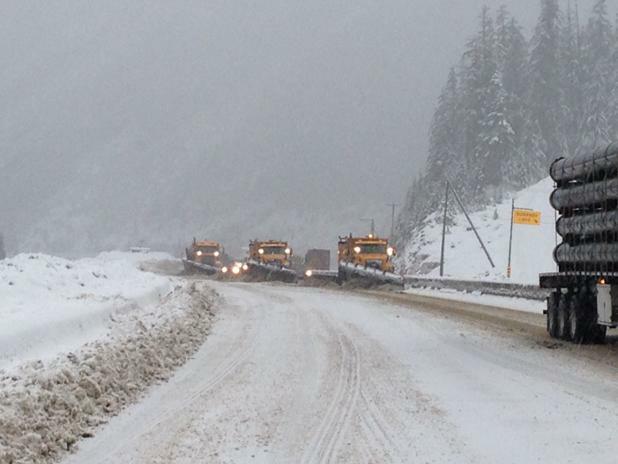 VSA tracks the weather with special forecasts for the Coquihalla. When more than 15-20 cm of snowfall over a 12 hour period (or freezing rain conditions) are predicted at the summit, they increase communication with the weather forecaster to gather all the information they can about the upcoming storm. Sound the alert bell! VSA quickly notifies us, the Commercial Vehicle Safety Enforcement (CVSE), our Weather and Avalanche folks, as well as flagging and traffic services, tow trucks, and the BC RCMP in Fraser Valley and Merritt, that the protocol is a go. They share their information and secure their services for the upcoming event. The triple check. VSA makes sure their fleet is fuelled and ready to go. They also prepare a call out list for extra staff in case more hands are required on deck. Staying tuned. VSA monitors and shares any updates to the weather forecast with all protocol members. Get your engines ready: Two hours before the storm: CVSE, flagging, and traffic services are on standby. Tow trucks will be stationed at the Zopkios brake check. RCMP will ensure that all passenger vehicles are equipped with proper winter tires at Sowaqua chain up area and enforce chain up at Box Canyon and/or Portia. Traffic control personnel will direct trucks into the chain up at Box Canyon entrance. And go! As the snow begins to fall, VSA will dispatch numerous pieces of snow removal equipment including: plow trucks, tow plow, graders, loaders and snow blowers throughout the corridor dependent on the level of storm forecasted. Staying on track. As the storm progresses and snow accumulates, there may be a request for the Merritt crew to assist the Coldwater crew. Merritt crews await that call. All equipment is responding to current road conditions or stationed/on standby as the storm progresses. Operators on standby are working in local yards making brine or preparing winter abrasive and salt stockpiles. The chain up sign (located at Box Canyon) is turned on by VSA. This sign tells commercial drivers of vehicles over 11,794 kg licensed GVW that they must chain up before proceeding. 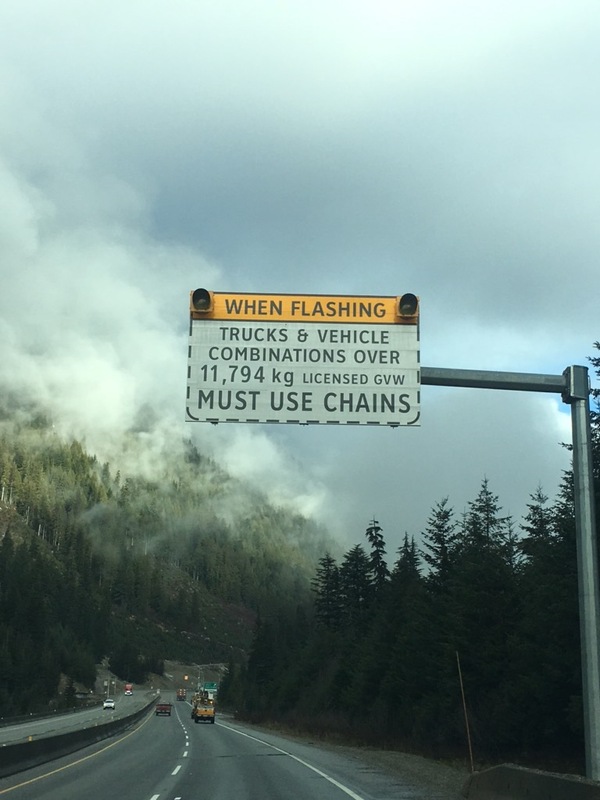 Once the chain up sign is on the CVSE will position themselves to ensure commercial drivers obey the sign and enforce if necessary. As soon as conditions permit, VSA will then turn the chain up sign off and relay this information to all responding parties. Constant communication. From the start of the protocol to the end, VSA relays any changing condition information to DriveBC. Safety is the bottom line. If the avalanche hazard and traffic volumes are high, a staging site will be set up at the Sowaqua pullout below Box Canyon. Vehicles will be held there, outside of any avalanche areas, and released as queues on the hill clear. If there is a vehicle incident or a commercial truck that loses traction, the tow trucks on standby and staff working on the hill ensure a quick response to clear the incident. Now that you know a bit more about the steps we take to make sure the Coquihalla is safe for travel, we would like to remind you that you play an important part in the Coquihalla Snowshed Protocol too. Know before you go and check DriveBC. If heavy snowfall is in the forecast or occurring on the Coquihalla and you cannot postpone your trip, be aware that there are other routes available. BC Highway 1 and 3 follow lower elevation routes, often have less snow, and may be a preferred route. Cars: make sure you have proper winter tires. Commercial vehicles: make sure you have chains, understand the latest regulations for where they need to be installed on your vehicle, know how to put them on, and chain up if the lights are on. When you are climbing the hill with chains, please remain single file in the cleared lane(s). Commercial vehicles: you’re required to stay out of the far the left lane of the highway, when travelling northbound on Snowshed Hill, between Box Canyon and Zopkios. If you do travel over the Coquihalla during the winter – SLOW DOWN and allow extra travel time. 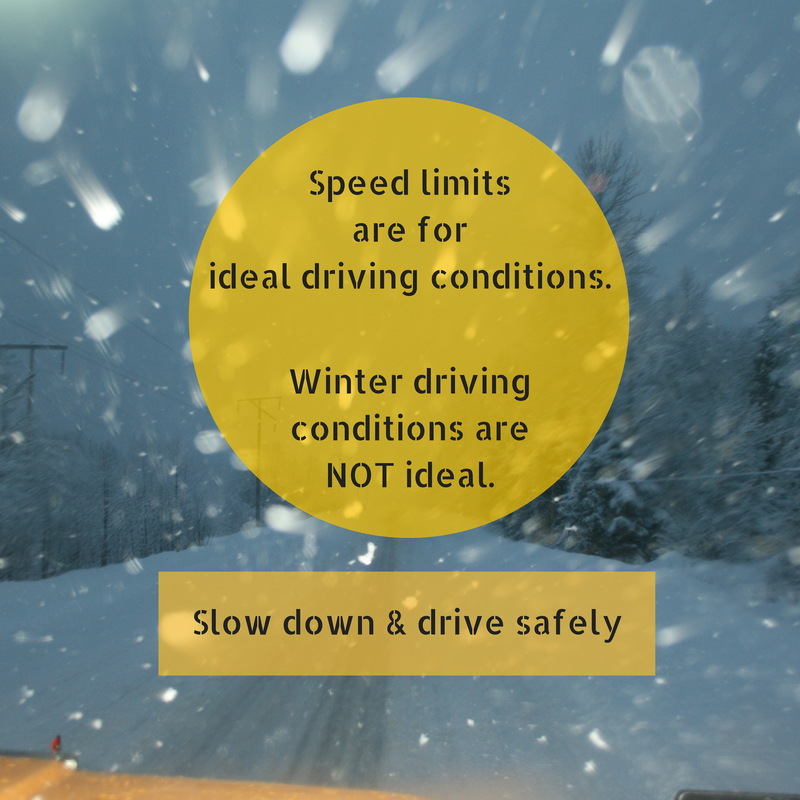 Speed limits are set for ideal driving conditions and winter driving conditions are NOT ideal. We take the safety of the travelling public very seriously. In fact, it’s our number one priority on every highway across the province and the Coquihalla is no exception. The Coquihalla Snowshed Protocol. We’re ready. Are you? Thanks for your question. Our snow removal techniques depend largely on the weather being experienced. Often when there is heavy snowfall maintenance vehicles will utilize their front plows. Front plows ride on ‘shoes’ that keep the plow lifted slightly to ensure safety for the operator. Graders and belly plows that have the ability to use a downward force to ‘scrape’ are also used but are most effective during the cleanup phase of a storm. Our maintenance contractor uses many methods to clear snow and restore traction depending upon the exact weather conditions and temperature. Environment Canada has recorded Heavy Snowfall in the past few days in and around Larsen Hill. We typically see the heaviest accumulations in and around Snowshed Hill, but we have seen 41cm in the past 24 hrs with deeper pockets in the Larsen Hill area whereas the Snowshed area has seen up to 25cms. There is also no mandatory chain up area for commercial vehicles in the Larsen Hill area and as such commercial vehicles do not chain up and find themselves stuck even when there is minimal snow. This prevents maintenance vehicles from accessing the roads which means we can sometimes end up with closures until the commercial vehicles are clear and then the road gets caught up. Brines and “juice” applications are also done pre-storm to provide a layer between accumulating snow and the pavement which can make it easier to clear residual and compacted snow after the snow event. Sand is used to aid traction but unfortunately some of the sand that is applied is blown off the road when vehicles continue to go fast. Many times, when sand is applied we leave it on the road to mix with the snow. Following this it does get plowed off leaving the impression that no sand has been applied. Our maintenance contractors are held to the current contractual specifications on a daily basis through an in depth audit and monitoring process which has been in place since 1988. When the toll booths were operating, commercial vehicle use of the highway was limited due to the cost of tolls for commercial vehicles and as such commercial vehicle traffic use was limited use compared to what we are seeing now. That combined with more powerful trucks, able to pull greater weights through mountain passes means we now see in excess of 3500 commercial vehicles a day along the route. Currently, one of the main reasons for closure is unprepared commercial drivers causing closures in both light and heavy snowfalls. There are no current rules or laws regarding allowable commercial truck configurations which could limit certain configurations which we know cause most of our issues. We are looking into ways in which we can enforce stricter rules around this issue. Thanks for connecting with us here – we hope that this helps answer some of your concerns. How much salt has been used for the past two nights on the Coquihalla? February 9th and 10th, 2017 when thousands of motorists were left stranded? It might save drivers who plan to drive the Coquihalla (and other mountain highways) in winter a visit to the ditch (or worse) if the Ministry of Transportation actually came out and said that all season M+S tires with 3.5 mm tread are NOT SUITABLE for driving in winter storms. So what do the RCMP say to someone who has low profile, sporty, M+S all season tires with just over the legal 3.5 mm tread on them? While the BC Ministry of Transportation and Infrastructure is responsible for creating the legislation listed in the BC MVA, enforcement of that legislation is at the discretion of the BC RCMP. You might be interested in reading this blog interviewing BC RCMP Staff Sgt. Pat McTiernan for more information.